The Administrative Coordinator provides a full range of administrative duties to support various staff and daily operating functions in the Development office. 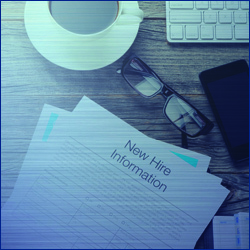 Incumbent will be responsible for making travel arrangements, processing reimbursements, scheduling meetings, and other general administrative support. The incumbent will also be responsible for submitting work requests and creating purchase orders utilizing on-line systems. As the front line, first point of contact, the incumbent is responsible for demonstrating a high level of professionalism in interactions with donors, campus departments, and leadership. Please note: due to the need of the department, there may be a possibility of filling two openings; additionally, a cover letter and resume are required. Education and/or experience equivalent to a bachelor's degree in a related field (e.g. five years of related administrative experience). Demonstrated ability to plan, organize and prioritize multiple assignments to independently meet deadlines and complete tasks with a high degree of accuracy, under pressure of constant interruption. Excellent oral, written and interpersonal communication skills, and the ability to work effectively with a wide variety of people from all levels of internal and external organizations. Ability to work independently, or collaboratively as part of a team, and maintain cooperative working relationships. Proficiency with using Windows applications, Word, Excel, PowerPoint and Outlook in particular. Experience in creating spreadsheets. Database experience. Skill in using the Internet and other sources for information-gathering purposes. established policies and procedures. Ability to make appropriate contacts for problem resolution. Skill in using professional and sound judgment to address issues or concerns. Ability to compose business correspondence, edit, and use correct spelling, punctuation, and grammar. Experience in an office environment providing administrative support. Experience processing purchasing and/or financial transactions in an on-line environment.